Semyon Dukach the Executive Chairman, is the Managing Director of TechStars. 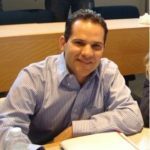 Xconomy lists Semyon as the top angel investor in New England. He brings extensive experience in entrepreneurship and business, as he was the founder of Amphibian Investments, Fast Engines, Vert, and PDFFiller17. He runs SMTP.com18 and sits on the board of Terrafugia19. He holds a M.S. in Electrical Engineering and Computer Science from MIT and a B.S. in Computer Science from Columbia University. Javier Lozano is the founder of Clinicas del Azucar 20, a low-cost chain of diabetes clinics in Mexico. Previously, he founded nonprofit Sierra Tarahumara, an NGO committed to agricultural development, small business creation, and education in Mexico. He is familiar with the Latin American market and has nearly ten years of experience in strategy and supply chain management. He holds an MBA – MIT Sloan. Gwyndaf Jones is the founder of Merlin Bicycles. He is also an instructor at MIT and in the D-Lab at MIT in the greater Boston Area. 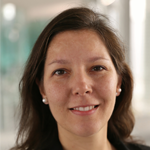 Esmeralda Megally is the Co-Founder & CEO at the tech company Xsensio in Switzerland. Developing the first “Lab-on-skin” sensing platform. Incubation supported by the Innogrant, award granted by the Swiss Federal Institute of Technology. Co-founder of an MIT startup, GCS that develops and sells innovative, affordable and accessible consumer low-tech products. Technologies developed at the MIT D-Lab, based in Cambridge (MA) and in Tanzania, selected as Winner of the MIT 2009 $100K competition (development track), and featured in Bloomberg Businessweek in 2010, Forbes 30 under 30, TED.She holds an MBA in management from MIT, a Master’s Degree of Management and Technology from Ecole polytechnique fédérale de Lausanne, and a Bachelors and a Master’s degree from Université libre de Bruxelles. Flavian Marwa has nearly 20 years experience in the areas of ICT, Engineering, and SME development. A native of Tanzania, Flavian has worked for the US Embassy in Tanzania, Booze Allen Hamilton, and the UN’s Information Technologies Services. In 2006, he founded FRM Global Services to provide telecommunication infrastructure to NGO’s in the public health research space in East Africa. Currently, Flavian consults for the World Bank’s Africa Region group in the areas of business valuation, entrepreneurial finance, and developing sustainable models of technology based start-up incubators. In addition to the US and Tanzania, he has worked in Gabon, Kenya, South Africa, Rwanda, Botswana, Brazil, and Germany. Flavian holds an MBA from MIT and an MPA from the Harvard Kennedy School. He obtained an SM in Telecom Systems Engineering from UM College Park and a BA from the University of Dar es Salaam (Tanzania). He also sits on the advisory board of Global Community Standard (GCS), a social enterprise that works to adapt innovative technology for affordable use in the world’s most remote villages. He was the recipient of the 2009 MIT $100k Development Track and Audience Choice award. 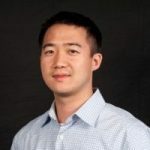 Alex Shih is the Director of Product and Ecosystem at Planet. Democratizing access to information about our planet via cubesats. Co-Founder, board member and Director of strategy at Global Community Standard as well as being a Board member at Interserve USA. Has led mobile products and partnerships for emerging markets at Twitter, and program management and strategic partnerships for Google Apps partner program at Google. Received a dual Master’s from MIT in Engineering Management and Technology Policy. 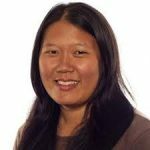 Jodie Wu is the founder and CEO of Global Community Standard (Global Cycle Solutions) and holds a BS in Mechanical Engineering from MIT. Before GCS, Jodie worked with Parsons and GE and spent eight years working in a family business. In 2008, she made her first trip to Tanzania where she soon realized that she could play a larger role in development through the creation of simple, appropriate technologies. She led the product design team that designed GCS’ first prototype of the bicycle maize sheller in 2008, and in 2009, she led GCS to win the Development Track of the MIT 100K Business Plan Competition. Jodie moved to work full-time in Tanzania in 2009, and today she continues to lead the GCS team, both in US and Tanzania.